The Adidas Pure Boost DPR was so comfortable that it almost felt like slippers, a reviewer mused. One user felt the shoe was versatile enough to be used for gym workouts. Various wearers thought the shoe delivered sufficient arch support. The shoe was very useful for interval and up-tempo runs, several athletes thought. A buyer commented that the toe box was roomy yet secure. The hardened outsole of the Pure Boost DPR provided excellent protection from road imperfections, wrote a reviewer. The Pure Boost DPR has improved many of the flaws of the original Pure Boost running shoe, according to a satisfied runner. The midsole did not seem to be as plush as other shoes with the boost™ midsole, a user observed. The unusually thin tongue was flimsy and bothersome, according to a wearer. Another reviewer criticized the tongue for being too long that is pushed sideways and is folded over during running. A couple of consumers thought the shoe was expensive. Some runners felt that the external heel counter required a break-in period before being a comfortable part of the shoe. Although the Adidas Pure Boost DPR was successful in delivering a comfortable ride and a smooth performance, it still received negative feedback from consumers. Some runners thought it was an average running shoe that had nothing new nor unique to offer; others were unhappy with the shoe’s construction and had cited other Adidas models to be better runners. The Adidas PureBOOST DPR trainer running shoe retails for $150. That’s a good amount of money. Is the shoe worth it? The Adidas PureBOOST DPR is a highly-attractive shoe that offers hip urban styling. It can be worn while running, working – the shoe looks great with jeans, or clubbing. In a sense, the PureBOOST DPR is a covert running shoe – a functional Clark Kent model sneaker that turns into Superman’s running weapon when the need arises. Looking at the shoe, it appears to be low to the ground and offers minimal headroom over one’s toes. However, the PureBOOST DPR’s stretch web upper means that toes are not scrunched. To reuse an oft overused phrase, the fit is slipper-like. My initial impression – which turned out to be pretty accurate, is that the PureBOOST DPR is like a cross between a light, fine quality trainer and a racing flat. Thus, the letters DPR may stand for daily performance runner. This shoe is said to offer “phenomenal energy return.” (Running Warehouse) It weighs 9.2 ounces but feels lighter on one’s feet. It has an 8mm drop and is built on a curved last. The forefoot area is broad (broader than that on the competing Reebok FloatRide Run) and yet the narrow heel counter at the rear fits quite snuggly and securely. The somewhat dull – compared to the rest of the shoe, laces are flat but once tied, they stay that way. Since it’s labeled as a neutral running shoe, there’s no medial post on the PureBOOST DPR. However, the shoe offers tons of stability for anyone who is less than a heavy pronator. I found the responsiveness to be well tuned; there’s enough springiness and bounce back to preserve energy, but not enough to destroy it. The PureBOOST DPR feels fast on asphalt, due in part to the fact that there’s little-wasted movement or energy. The PureBOOST DPR also feels fast on a dirt covered concrete track. Surprisingly, despite the relatively flat sole, the shoe offers excellent grip. There’s no slippage of the type one experiences with slick flats and the ground feel is more than adequate. For those who get their miles on tracks, this would serve as an outstanding pace trainer. The natural landing area in this shoe appears to be between the midfoot and the lower forefoot. Others, of course, may find differently depending on their running style. The PureBOOST DPR can accommodate forefoot, midfoot or heel strikers, and is also at home as a supporter of slow, moderate or quick training runs. There’s more than sufficient protection in the PureBOOST DPR’s midsole to support long training runs. Yet I experienced one issue with the shoe that I hope may be addressed by the time version 3 is released. The shoe’s landing pattern sometimes made my metatarsals feel bruised. I would love to see a small metatarsal pad added to alleviate this; alternatively, it might be remedied by a small rubber slab on the underside of the supplied insole. An unexpected strength of the PureBOOST DPR is the fact that it produces virtually no noise as it strikes rough and soft surfaces. Like the new Mizuno Shadow, the shoe produces no annoying creaks, pops, or flopping sounds in action. If the PureBOOST DPR were an automobile, it would no doubt win the J.D. Power Initial Quality award for the absence of annoying squeaks and rattles. Why spend $150 on a pair of running shoes? Well, in the case of the Adidas PureBOOST DPR it’s because the shoe does everything well. Extremely well. Almost mind-blowingly well. The shoe displays no notable weaknesses. This is a shoe that can be casually worn every now and then, or used and abused as a daily trainer. The PureBOOST DPR is happy to serve as a protective runner on slow jaunts or as a barely there speedy racer. This would be a great shoe to wear while completing one’s first 5K, or seeking a PR in a 10K or 10-miler. It would, without doubt, hold up well on distances between 13.1 and 26.2 miles. And once you’ve completed 6.2 or 26.2 miles, the Adidas PureBOOST DPR will happily transport your tired feet to the nearest pub to properly celebrate your proud achievement. Adidas Pure Boost DPR is a stable shoe to run distance and perform together. It is a very rare opportunity for any runner to say "This is a performance shoes" just by seeing the design of it. Yes, it is Adidas Pure Boost. The design of the sole, the upper body, the placement of the vent, lacing, all is just perfect. A wide range of soothing colors available. Disappointment for those who look for flashy colors. The shoe comes in regular sizes. No need to buy a large or small size to fit your feet. The knit material holds your feet perfectly, so you never feel the fit of the shoe is different than expected. I must say, this is one of the comfortable running shoes I have with me. The shoes just hug your feet as you slide inside. Wide feet or narrow feet, the material is stretchable enough to comfort anyhow. During running, the feel and the comfort will repeatedly make you feel "WOW." Sole is the one which takes maximum credit when any shoes hit the road. The very well-designed sole makes the shoes lighter. The outsole grips on the road very comfortable and keeps you going. The technical turns are easier and make sure you better perform well. I found the response of the midsole is just amazing to boost your run and the performance. Even after my long runs, I have never faced any issues in my feet. I have experienced this sole a little slippery on a wet surface, and the runner should be little careful. I have been using these shoes for almost a year, and a half with many ultras/marathons/practices runs. So far, there is no issue in griping on the road or my performance. When I say it's a perfect shoe for running, there should be good and better breathing. Yes, it has all you want, and you expect. The material of the mesh and the vent is so well designed and chosen to have cool running. My feet sweat a lot while running, but this shoe puts a boosted brake for sweat resulting in a dry feet comfortable run. Considering my experience, Adidas Pure Boost is a performer which boosts your energy, boosts your run, boosts your support, boosts your endurance, boosts your aim to finish, and boosts your performance. A perfect shoe to be owned or to invest in. This shoe has traveled many miles/kilometers with me to be called a "performer." I'm ready to run many more miles with boosted performance. The performance of the shoe never changed with the pace. As it is a road running shoes, safety and protection are not a key factor to look for. I can say the fit, design, material, sole, cushioning will ensure each step on the road is comfortable and safe. I even can say, you will enjoy your blister free ride. So far, I have covered many miles/km wearing the same. I felt this shoe is very special and have something for every runner. 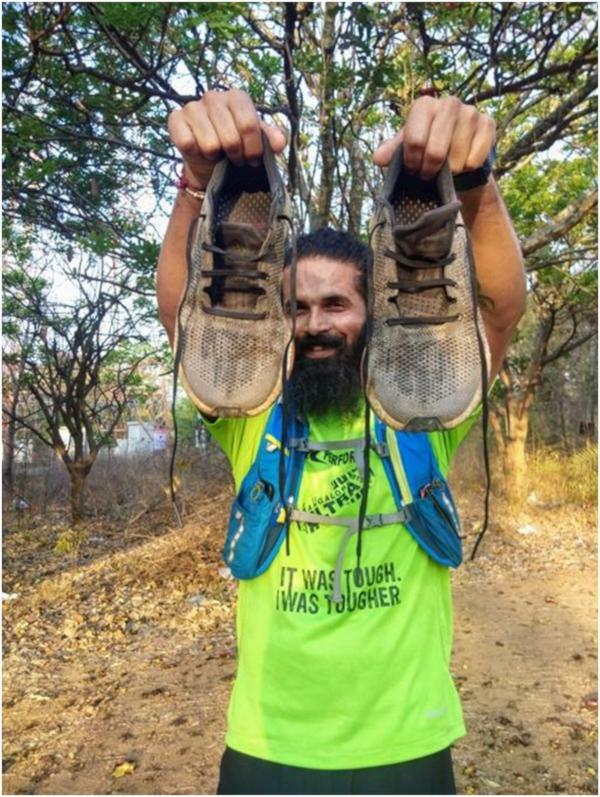 The major runs I have taken part wearing this are, Bengaluru Stadium Run 36hrs covering 203 km (6th position), Bengaluru Chennai Deccan 200 miler (worn this shoe for almost 50% of the distance), Ultra Malayavasi Ooty 60km, and few marathons. I have suggested my Brother and a few of my friends to buy the same. They all are happy and performing better. Adidas Pure Boost is a must buy shoe by any runner. Lightweight, perfect design, materials, breathability, fit, and colors make it complete. The response at each step and the push from the midsole makes you perform better and run injury free. So, what is my conclusion on the Pure Boost DPR. I like the shoe. I've run in it a lot. I enjoy all my runs in it. "This shoe looks great and it definitely can be used on casual but I would't count it as a running shoe." Adidas presents the Pure Boost DPR, with DPR standing for Deconstructed Pure Racer. The name itself brings the notion that the shoe aims to excel in fast-paced runs or competitive distances. This running shoe is intended for men, with a structure that caters to neutral arches. 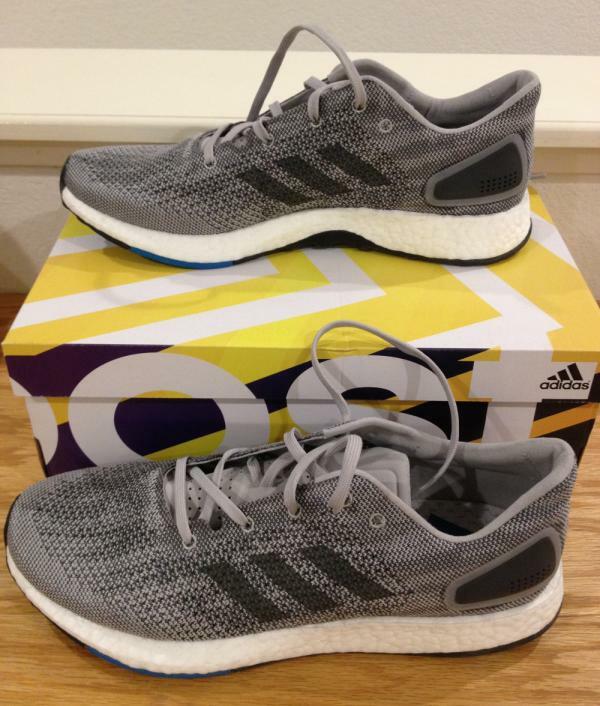 The Pure Boost DPR has a level of firmness that makes it suitable for mild workouts and moderate-distance runs. This Adidas running shoe will satisfy runners who are looking for a well-ventilated upper with an unrestricted fit. Some colorways of the Pure Boost DPR feature an Aramis-inspired design in the upper. Aramis is a digital motion-capture system that uses speed cameras to print a chromatic, tonal image. The sole unit claims to deliver a close-to-ground feel while also providing a responsive cushioning that results in a compelling and smooth ride. It consists of a Stretchweb rubber outsole that reduces the impact of foot strike for more energy to withstand wear and tear. A boost™ midsole, which is Adidas’ most responsive cushioning, completes the DPR function. The Adidas Pure Boost DPR has a standard running shoe length. While the midfoot area is moderate, the forefoot construction is elongated and is able to accommodate a comfortable toe splay even for runners with a broad foot volume. It is available in the men’s width profile of D – Medium. Using the same outsole found in the well known Adidas Pure Boost, the Adidas Pure Boost DPR outsole features a Stretchweb rubber, a compound that is specifically designed to bring an energized ride. It works by lowering the pressure from foot strike and, in the process, provide a sensation of running on soft ground. The grid-like patterns in the outsole move in a flexing motion. This design allows a shoe motion that adapts to each foot’s unique way of hitting the ground. The signature boost™ technology in the midsole works by releasing energy from foot strike to enable a forward motion. The result is an energized stride and a seamless run. The cushioning from boost™ is durable and stable, but not at the expense of weight. The shoe has a broad underfoot platform that naturally supports the foot and supplies adequate power for city running, no matter the speed and distance. The knit-mesh upper of the Pure Boost DPR has engineered zones that encourage an adaptable fit; it adjusts to the shape of the foot, resulting in a natural feel. It also features an open-pore pattern that allows sufficient air circulation. The knit design is seamless to prevent irritation. An internal suede lining accompanies the upper for comfort, and it is finished off by a low-cut ankle layout to give freedom of movement. Accompanying the knit material is a single leather overlay in the heel area. It brings a premium style while also acting as a semi-framework to support the hindfoot without adding bulk to the shoe. The Pure Boost DPR has a lacing system that is asymmetrical in shape. This design enables a more comfortable fit as it relieves forefoot pressure. There is a Fitcounter molded heel counter that promotes a natural motion of the Achilles. It also brings optimal support to the heel and ankle area as it controls unnecessary movements.